Since many years various business magazines & online education portals publish their own ranking for distance learning MBA programs offered by top universities in India. We've seen students takes admission in distance learning MBA programs based on these rankings but today we'll discuss whether these rankings really helps someone choosing the right MBA program? Before moving to some conclusion we've to see what are the main parameters these Business magazines and online education portals considers to give rankings to these institutions. 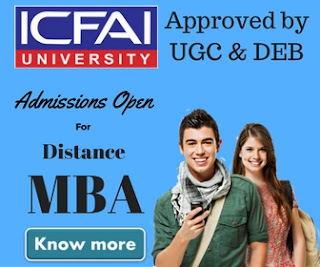 The above mentioned points are generally considered by organizations who give rankings to various universities & institutions offers distance leaning MBA program. The weightage of each factor could be different based on different organization. It's really good practice to go through the ranking first before joining any program but never rely on them completely. Every student has a different set of priorities but ranking are based on total of average points scored by an institution in each section. Like for example People who doesn't have access to high speed internet, Online study material & Video classes doesn't help much to him. Institutes scoring high in online course material is not the right institute for these kind of people. A person who can't attend classes and want to study from home, Colleges which scores high in study centers doesn't worth for them to take admission. My advice would be to set your priority first & choose an institution accordingly. Read rankings but also see what criteria organization use to prepare these ranking & then take admission in the program which matches your priority. 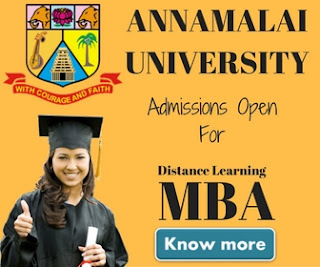 Considering Distance MBA ranking is good practice to take an admission in MBA program if you use it wisely. Generally people read just the ranking & doesn't go through the data used to prepare a ranking. We advice to set your priority first and choose a MBA program which best met your priorities.